Charles Eisenstein is one of my favourite contemporary writers and philosophers. He is on the cutting edge of a revolution in thinking that will change the world in years to come. When he met a young Irish man in Sweden, who was on a two-year course studying the art of traditional boat building, Eisenstein eventually realized he was talking to a kindred spirit. Wooden boat building and repair can be very satisfying work. 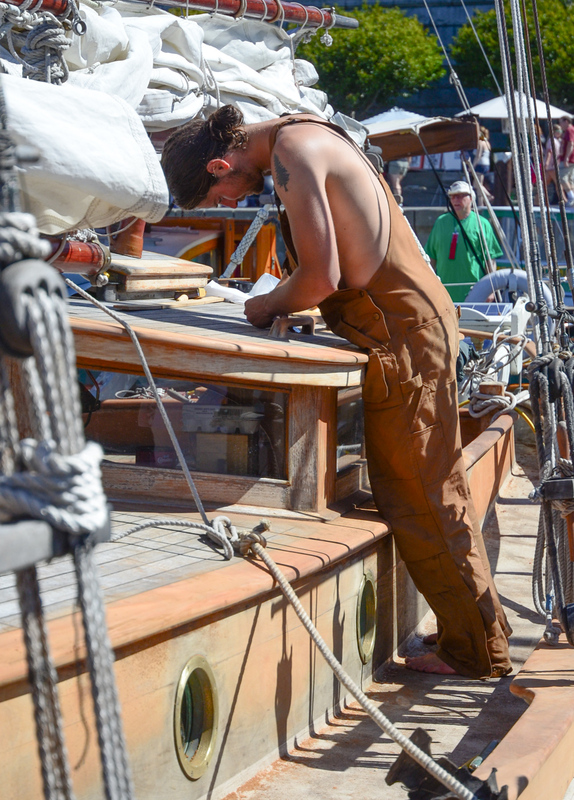 Here a schooner is being worked on at the Victoria Classic Boat Festival.